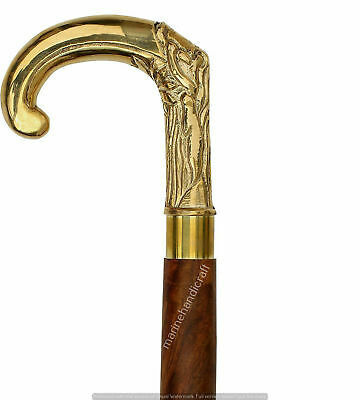 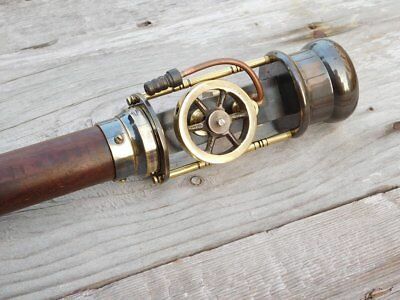 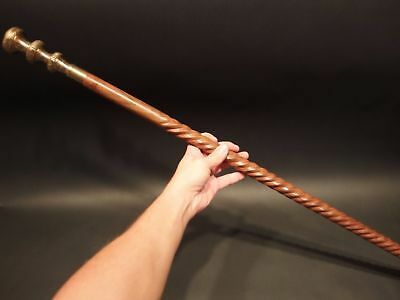 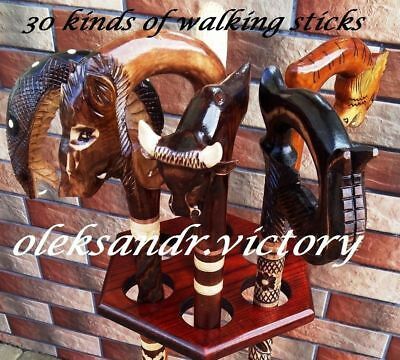 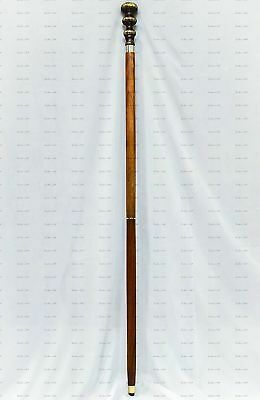 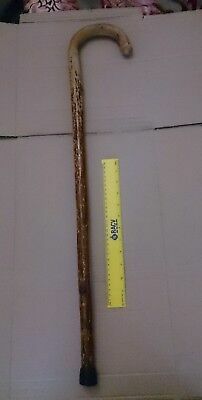 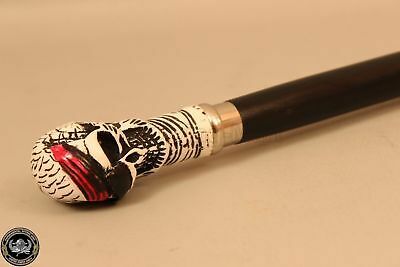 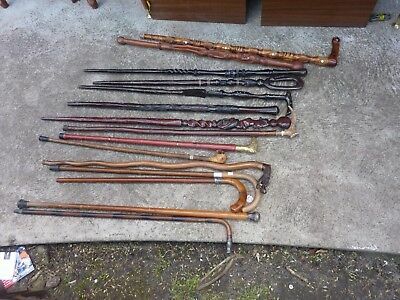 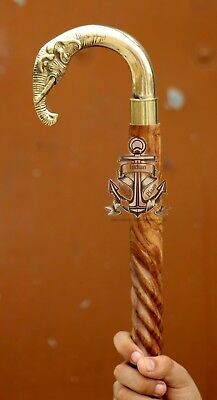 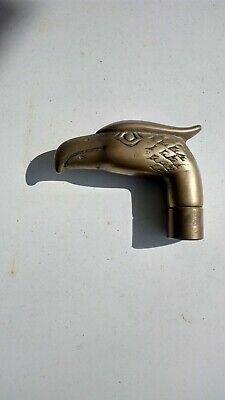 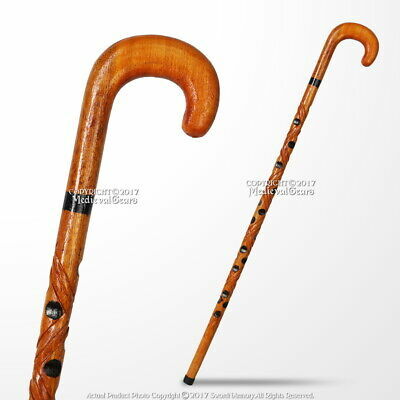 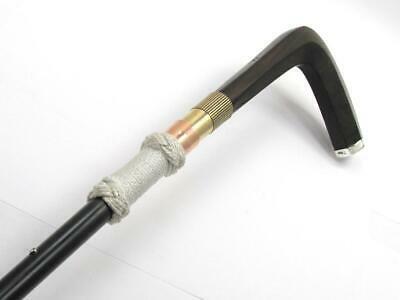 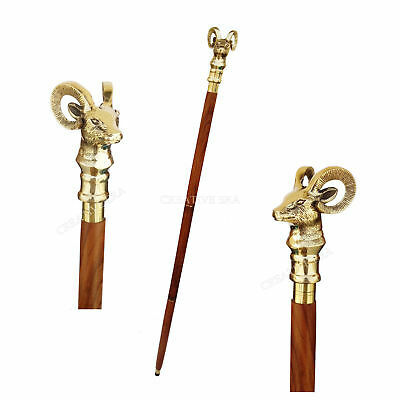 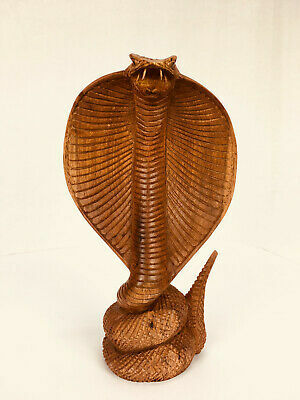 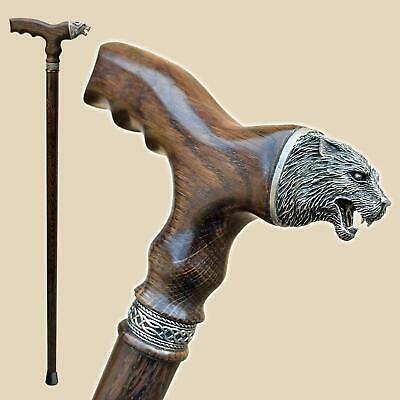 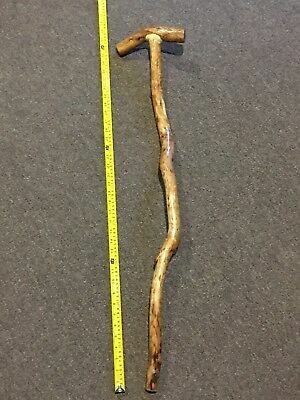 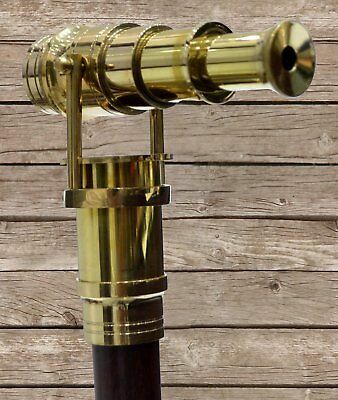 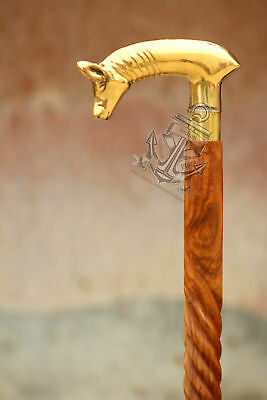 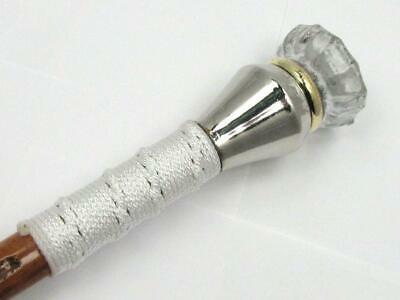 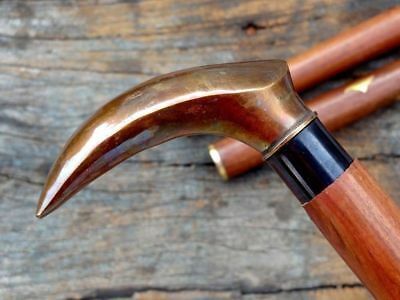 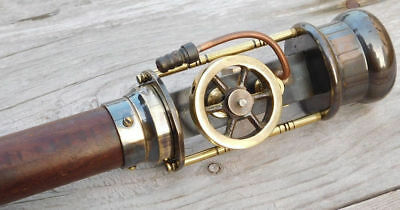 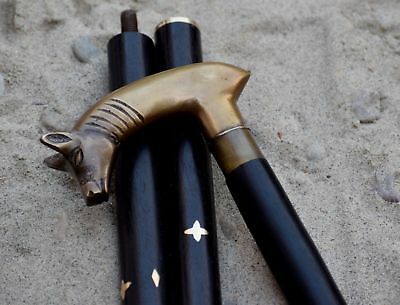 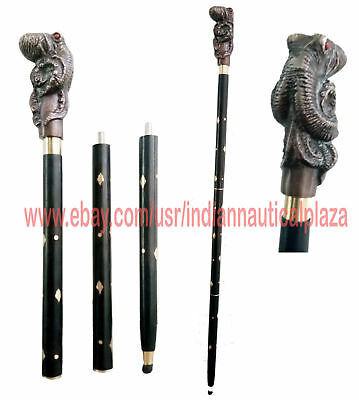 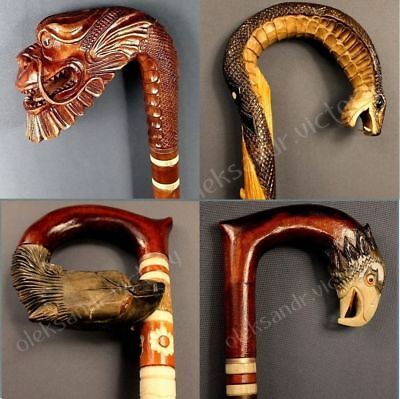 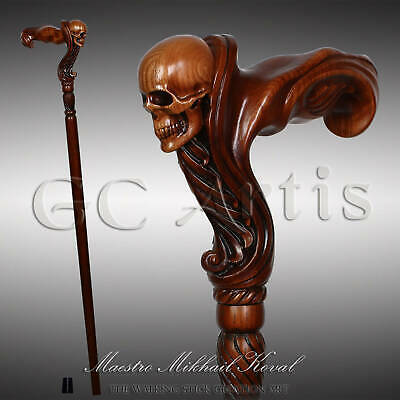 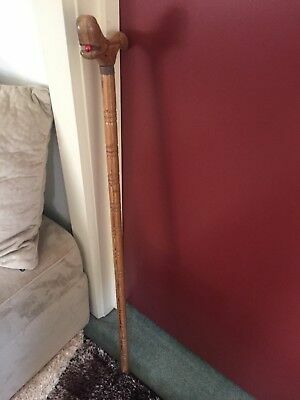 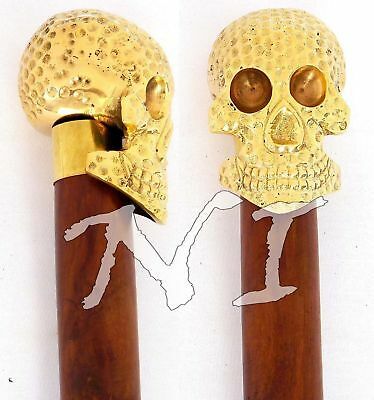 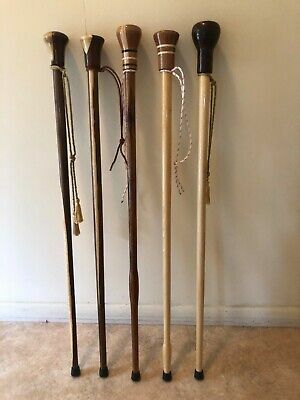 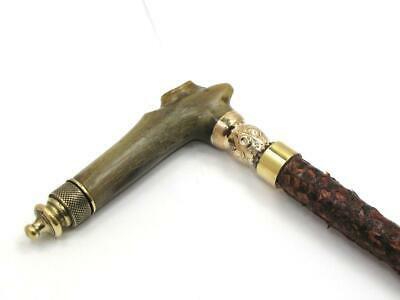 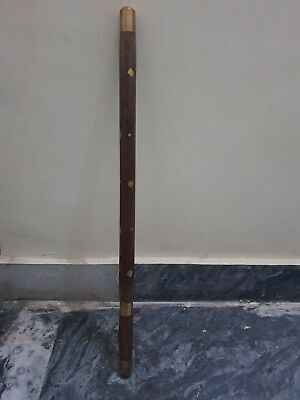 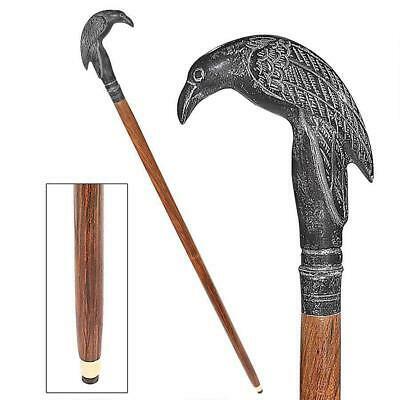 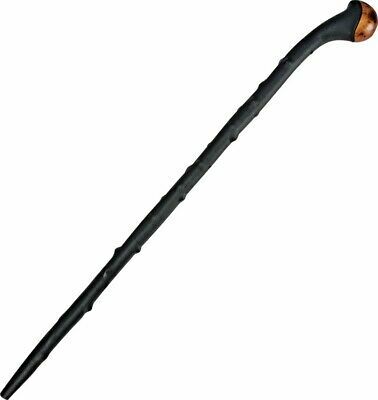 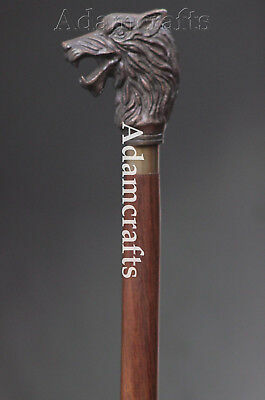 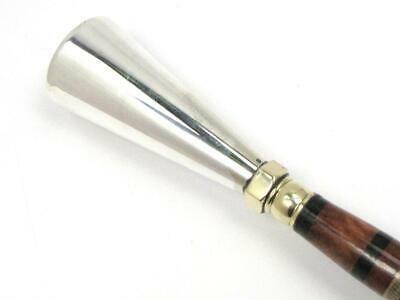 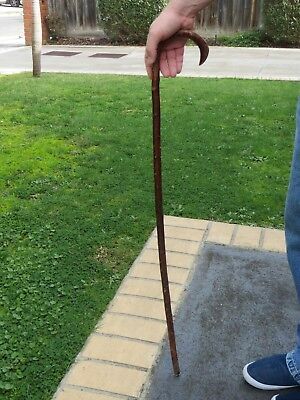 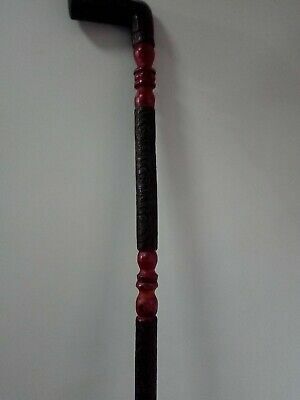 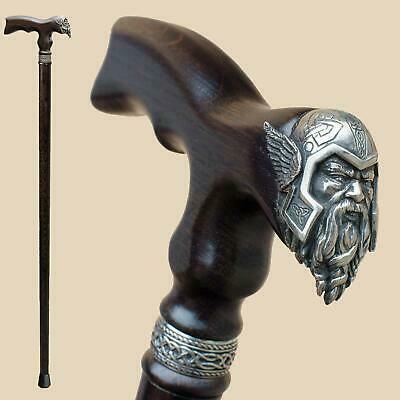 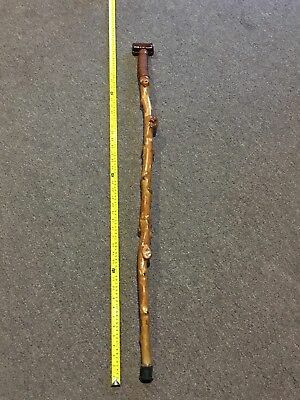 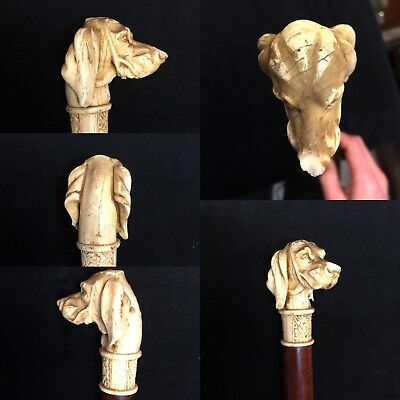 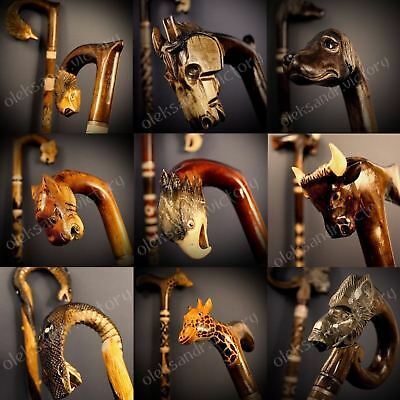 Vintage wooden walking stick, walking cane. 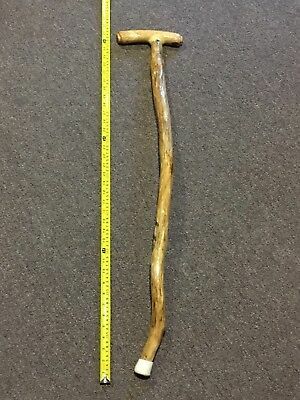 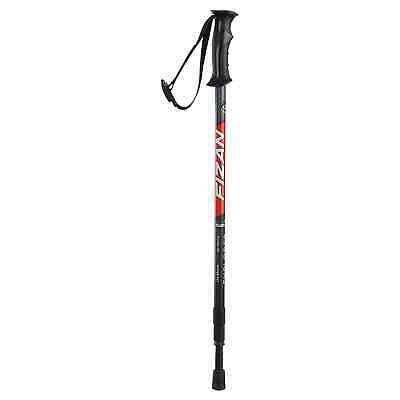 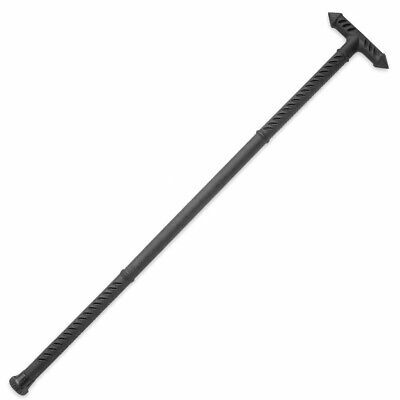 81 cm long. 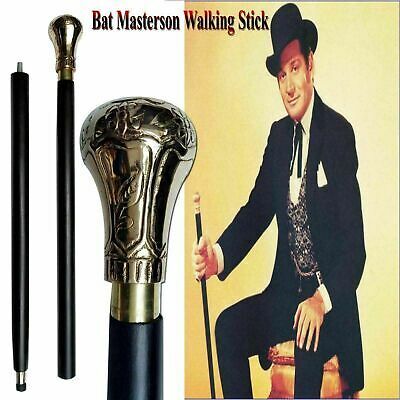 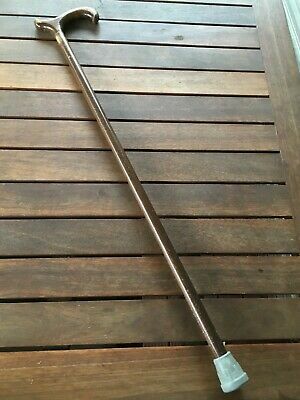 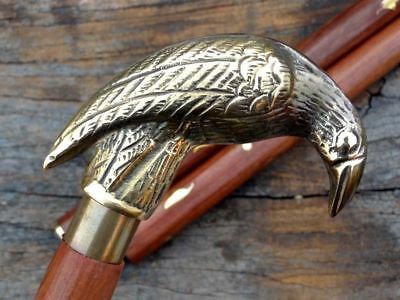 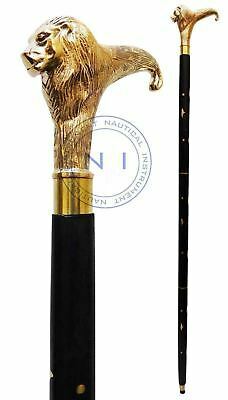 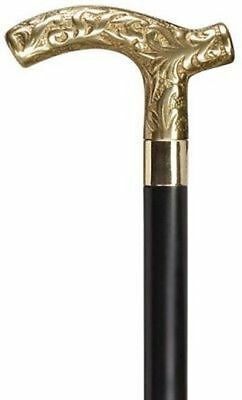 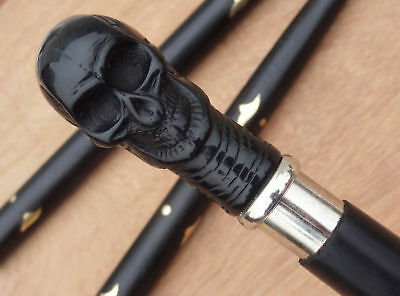 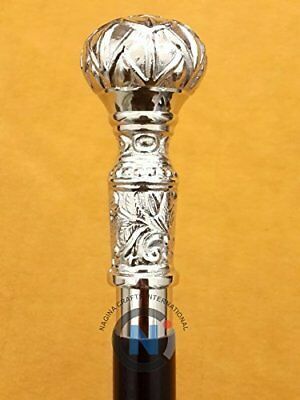 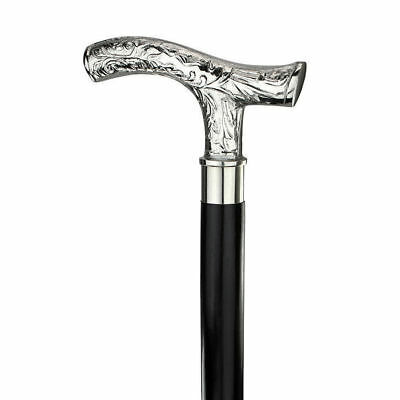 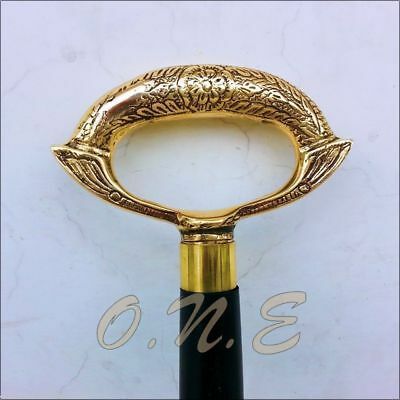 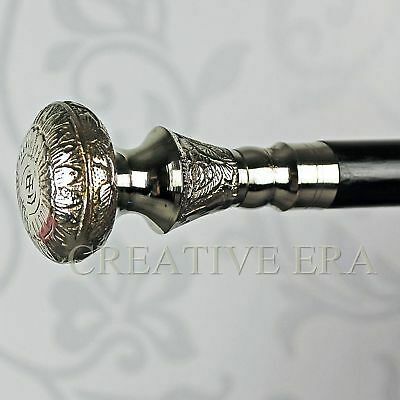 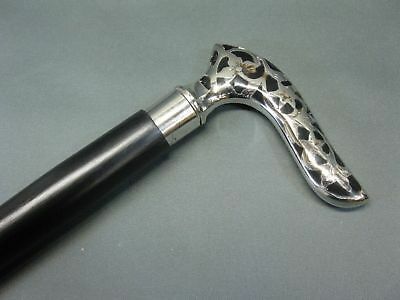 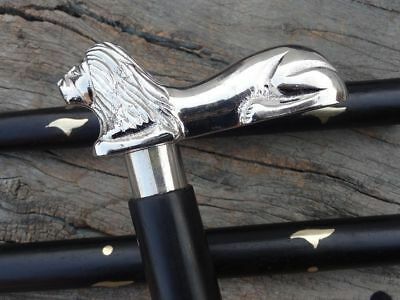 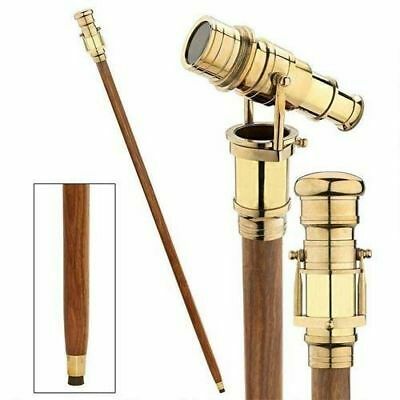 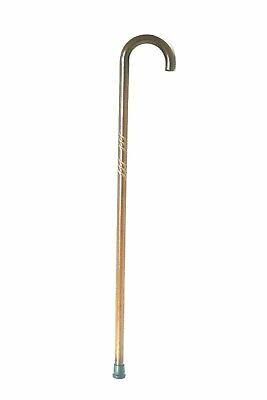 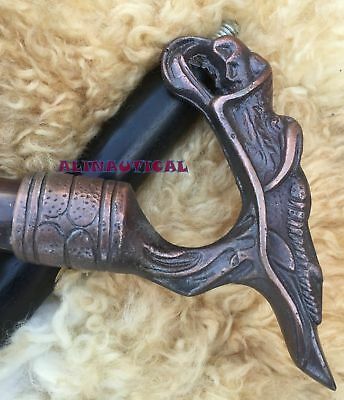 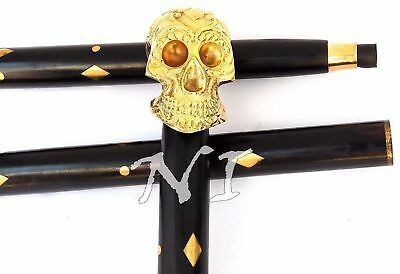 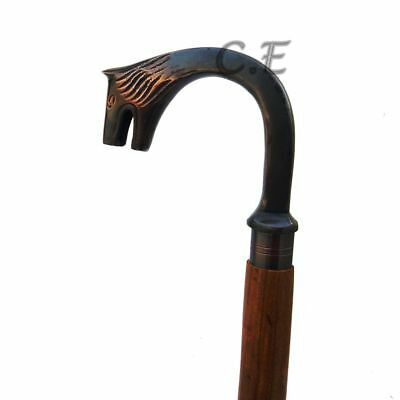 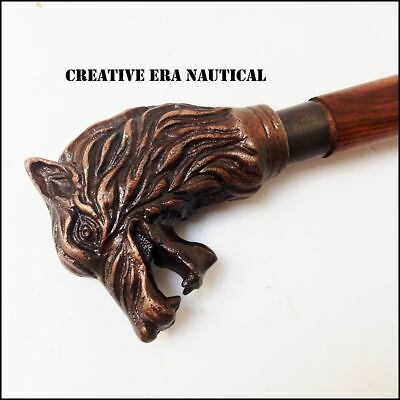 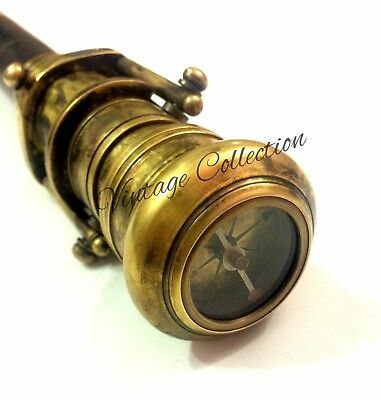 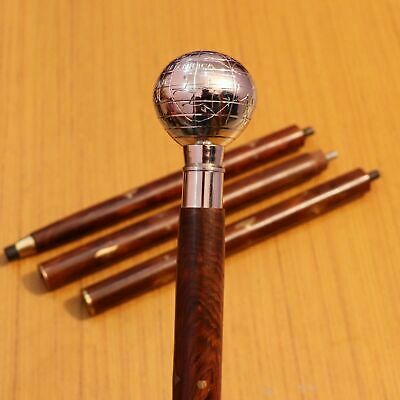 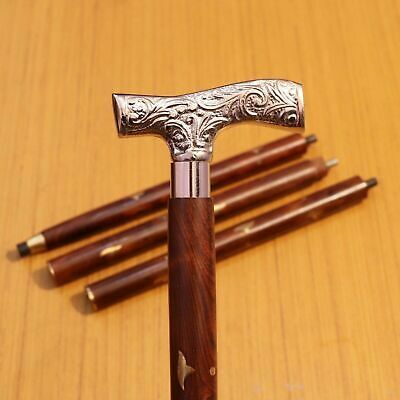 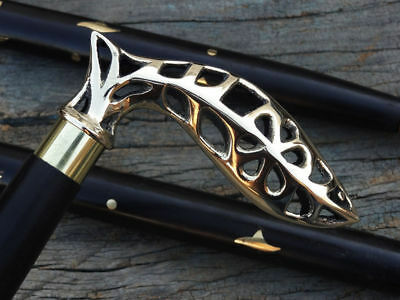 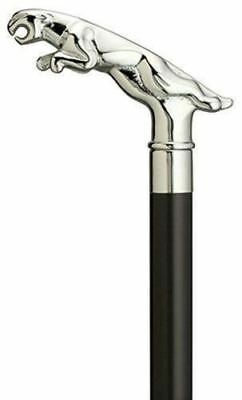 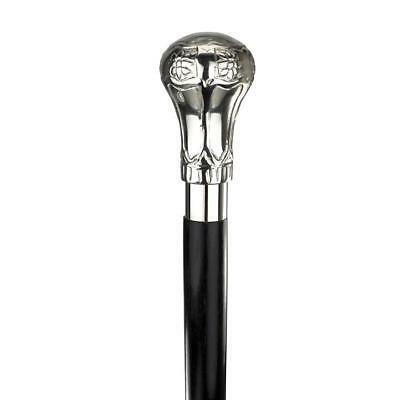 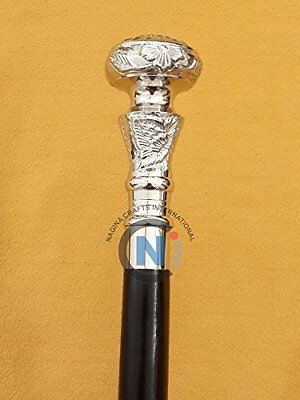 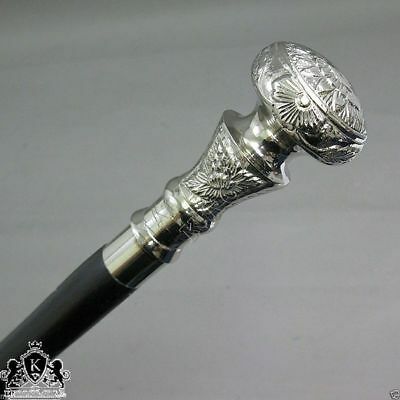 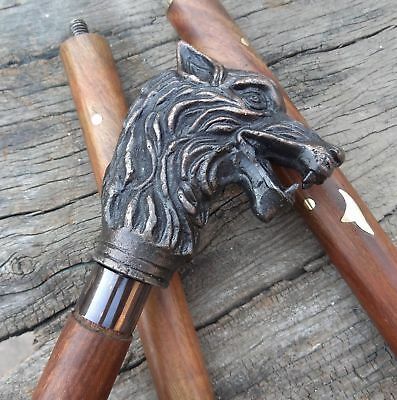 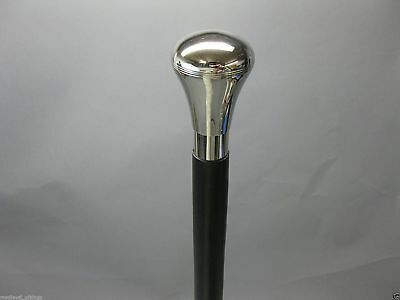 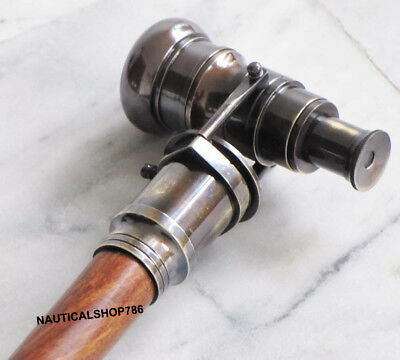 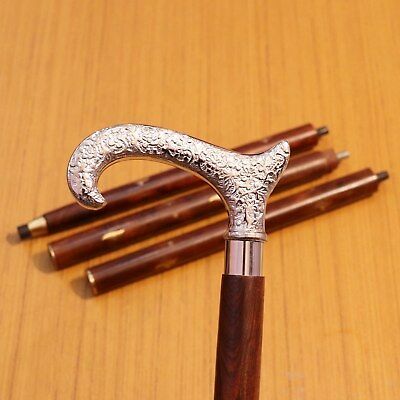 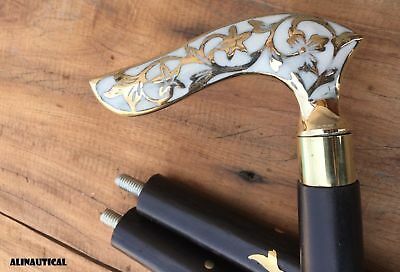 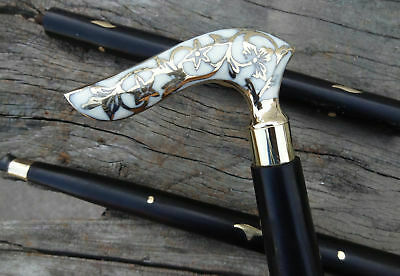 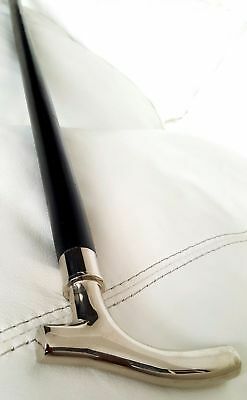 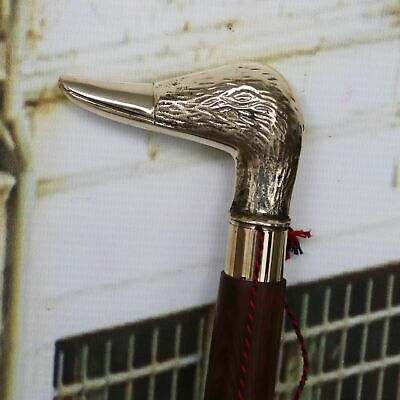 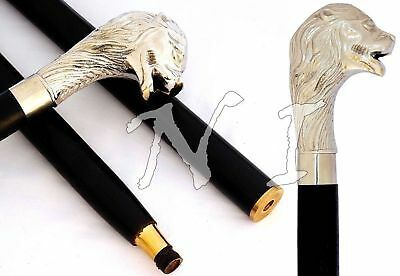 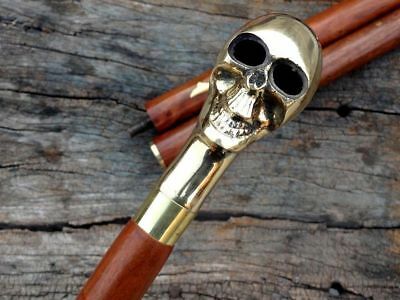 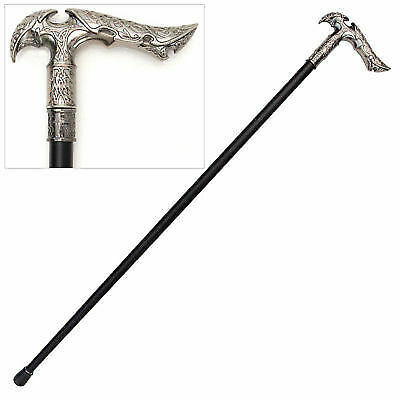 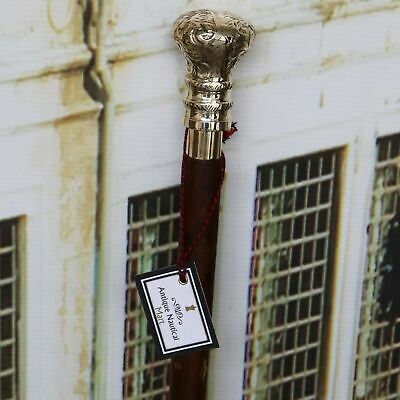 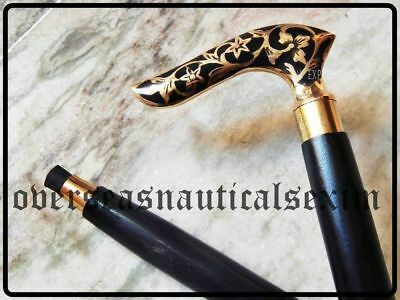 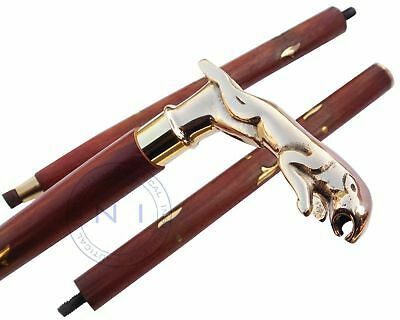 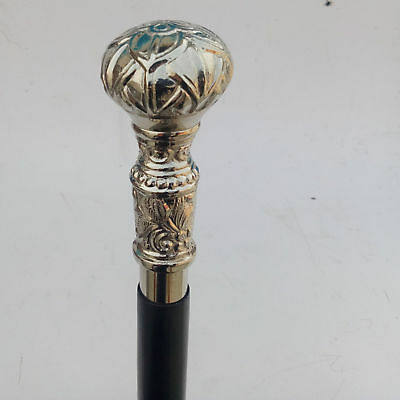 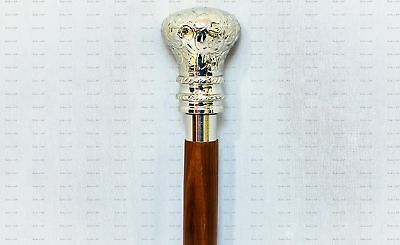 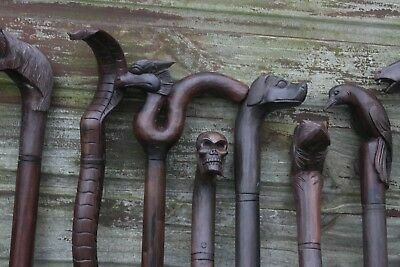 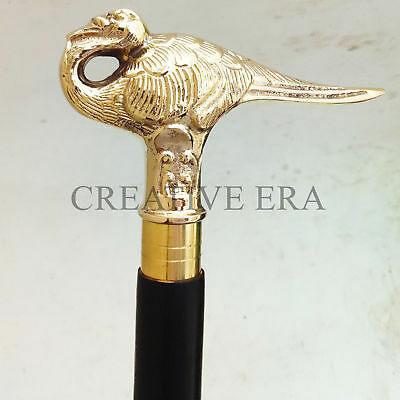 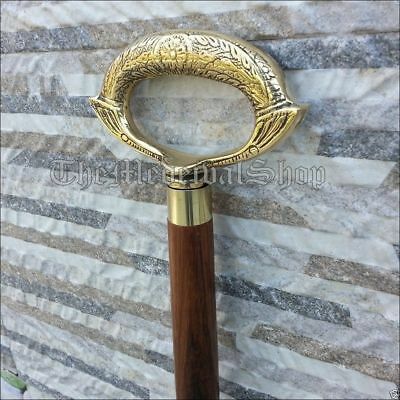 Chrome Plated Brass Handle Victorian Vintage Wooden Walking Stick Cane 37"
Carved Embossed Brass Derby Handle With Black Wood Shaft Walking Cane Stick 36"